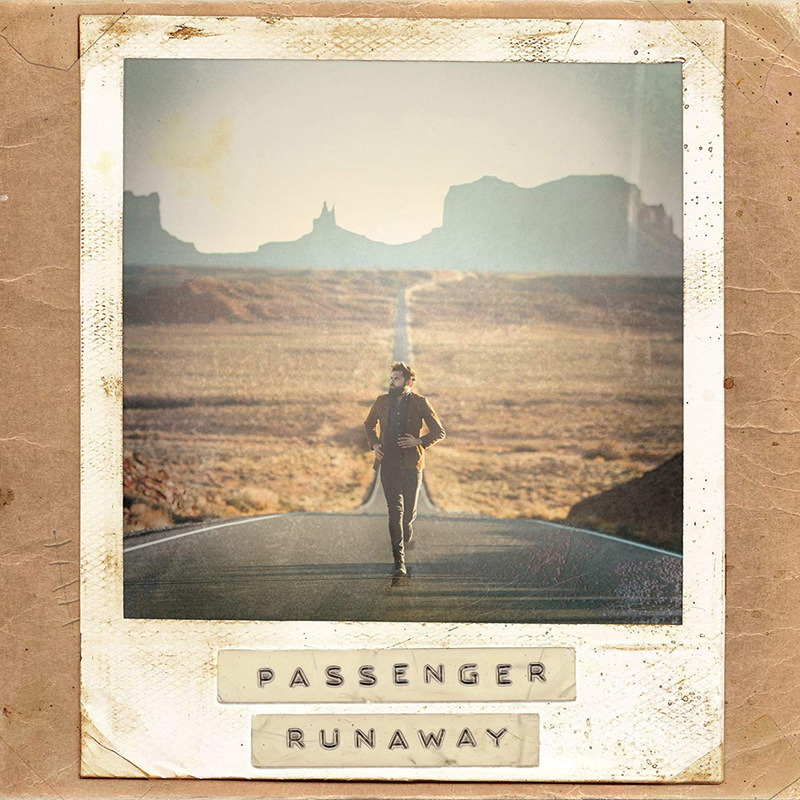 Passenger’s songwriting speaks to anyone on the road, literally or figuratively, and the same holds true for “Runaway”. Its reflective opening track, “Hell Or High Water”, sets the tone for an album with just enough melancholy to mellow out the otherwise unbridled optimism and adventurous spirit that makes it the ultimate road trip tracklist. A slow build takes place over the next few songs until “Ghost Town”, a quiet hymn that the album seems to orbit around. “Ghost Town” is a solemnly beautiful track, and the sudden change in pace and tone, as well as the cinematic instrumental break, are enough to knock the wind right out of you. Although the songwriting and production quality of Passenger’s albums improve from release to release, “Runaway” is not without its weak moments. “He Leaves You Cold” is somewhat superficial and thematically out of place, with unripe lyrics such as “He leaves an ice cube in your heart / And a snowflake in your soul”. While incredibly visual, “Eagle Bear Buffalo”, Rosenberg’s tribute to Yellowstone, also lacks the soulful depth that usually colors the rest of his work, flirting with the border between sentimental and downright cliche. But for each of its few songwriting hiccups, there are dozens of breathtaking moments and moving passages that are more than strong enough to carry the album. “Heart To Love”, for instance, embodies what Passenger does best – poetically pairing his honest vulnerability with a relentlessly hopeful melody. He follows it up with “Let’s Go”, where the freedom and vivacious spirit of the open road is the loudest and the Americana influence is the strongest, and where you might even mistake Rosenberg for Bob Dylan. The album’s title begins to take on a different meaning toward the end of the album as Passenger reflects on his family’s history. “To Be Free” centers on his grandparents, Jewish refugees who fled to America and settled in New Jersey in 1953. “It’s a long and tragic story, and I never thought I’d write a song about it”, Rosenberg reflects. “It just came out.” The focus shifts from his grandparents to his father, who traversed much of the world before travelling to England, where he would meet Rosenberg’s mother. The narrative spotlight finally settles on Passenger himself, tying the ballad together with the image of “feathers on the ocean breeze / … spinning and tumbling ‘cross the sea” – a more melancholic take on his identity as a journeyman. Just before the end, the song builds beautifully into the final track “Survivors”, creating an atmosphere that lingers long after the music has stopped. “Runaway” embraces the liberating side of solitude, vibrating on the same plane as Bob Dylan’s “Like A Rolling Stone”. It is a collection of hope-filled anthems for those caught between the past and the uncertainty of the future. Passenger’s wanderlust and sense of adventure come across loud and clear, making it easy to feel the dusty roads beneath you, the sun beating through the windshield, and – if you’re old enough – the CD pressing against your palm as you feed it into your stereo to accompany you on the next stretch of your journey. Alexandra is a writer and translator based in Berlin.